Backed by an all-star roster of veteran producers and guest emcees, Slaine and Termanology have created an album that distills their distinct talents and points of view into a cohesive artistic vision that is sure to become an instant classic. 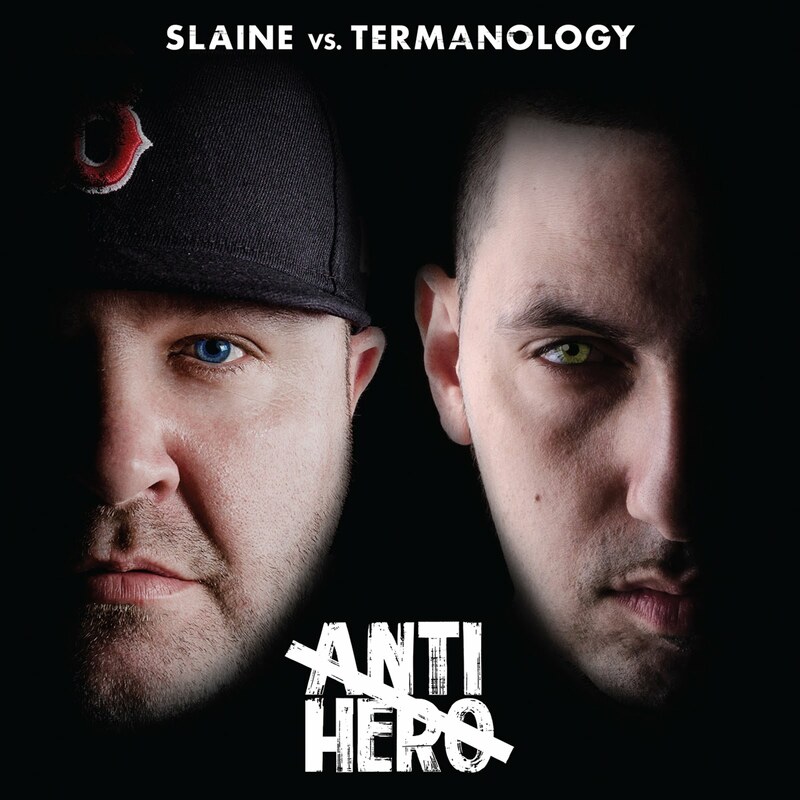 Moving comfortably from swaggering showcases of lyrical prowess to highly personal and evocative songwriting, Anti-Hero proves that, even after all these years, Slaine and Term are still pushing each other to grow stronger. Anti-Hero captures that aesthetic right from its explosive first shot out the gate, “Still Here.” Riding a thumping horn-laced instrumental from The Arcitype, Slaine and Term go marching into battle with a deafening roar of defiance aimed at anyone who doubted their credentials. Over the menacing keys and neck-snapping drums on “Apocalypse,” the pair lay out street life in vivid terms, aided by a couple of muscular verses from Brooklyn emcees Nems and Ill Bill of La Coka Nostra. Serving as the connection between multiple generations of underground rap, Slaine and Term lay down bars with Bun B and Everlast over a vintage DJ Premier beat on the title track, before connecting with rising star Conway the Machine for the cold and gritty closer “Came A Long Way".. Check out the video and be on the look out for Anti Hero coming this fall!